A total of 4 or 5 of the 3 or 4 place 1919 Aeromarine 50 / 52 / 55 Limousine Flying Boat were built. The models 50, 52, and 55 represented an ultimately unsuccessful attempt to offer civil versions utilising components of the Navy A40 trainer utilising the wings, tailplane, and general hull structure of the model 40F. 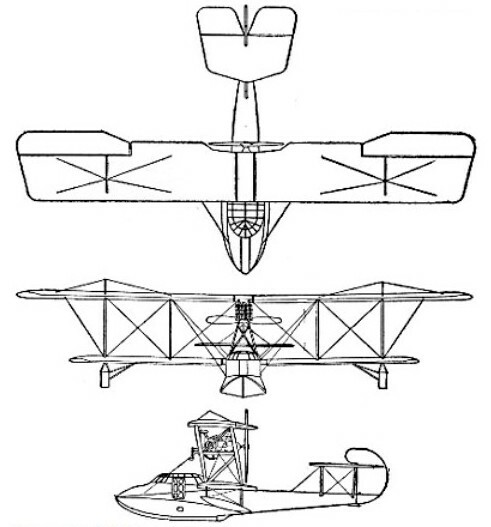 The model 50B of 1919, model 52 of 1921, and model 55 of 1922 all featured enclosed cockpits. Aeromarine 52-U8D was a 1921, three seat version of the Aeromarine 50 with the Aeromarine U-8D engine.